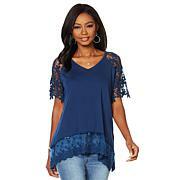 I ordered this in the blue to take on vacation to Sedona, Arizona. I love the drop shoulder combined with flowing sleeves. 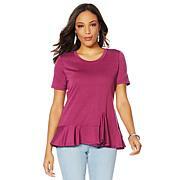 The straight body with wide ruffle peplum keeps it comfortable without making it look boxy or dumpy. I love it. Wouldn't mind having another one in a different color. 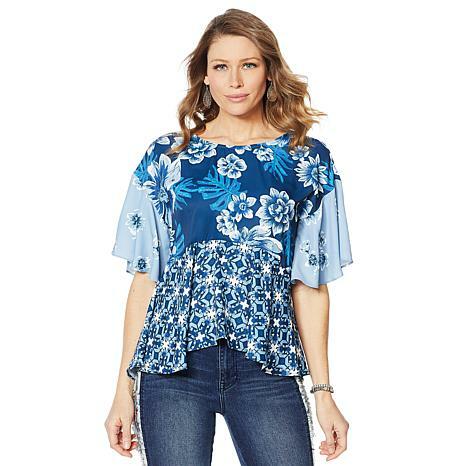 I love this blouse and the color turquoise is beautiful , but it was too large for me ,Im usually wear an extra large but this one was way too big ,I returned it , but Im gonna get a large instead . i purchased this shirt in the black and loved it so much, that I came back for the blue. I purchased a small. I'm 5'6" and weigh about 148. I carry my weight in the middle and this top is very forgiving. Very pretty. Nice quality. Flattering for the figure. Nice fit also. 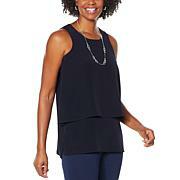 Love this top thinking about getting another color or all 3 please bring it back in solid colors too! Diane your the best and wish you all the best!